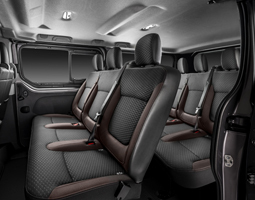 The new Talento is well-proportioned and is the link between Fiat Doblo Cargo and Fiat Ducato. 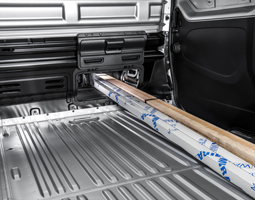 The squared lines, imply a roomy interior and large cargo volume, up to 8.6M3. The van’s versatility allows you to choose the perfect combination for your business, between two different heights, two lengths and two wheelbases. 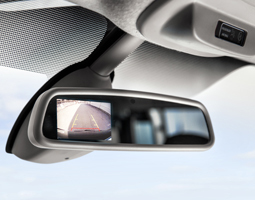 For easy parking the Talento has integrated rear parking sensors and rear camera with viewplus mirror. Vehicle shown is for illustration only. 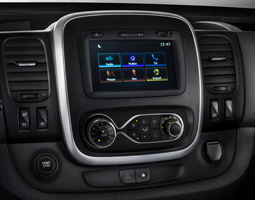 Fiat have carefully combined comfort and functionality with easy adjustable ergonomic driver’s seat, backed by a lumbar support and the viewplus mirror making the Talento remarkably comfortable to drive. The Talento has been designed for the perfect office with central seat with pop-up table and holders, 7″ touch-radio navigation and multi-functioning steering wheel. Offering up to 1.2T payload, with space for 3 Euro pallets (starting from short wheelbase and low roof) and the possibility of also transporting long objects. The new Talento is equipped with cutting edge safety systems for all versions including ABS with EBO and emergency brake assist, ESC with hill holder and traction plus.